Athletico Madrid plays host to Arsenal in the semi-final reverse fixture of the Europa League. The previous meeting in the tie ended in a draw with Antonio Griezmann rescuing the 10-man side in the 81st minute after Alexandre Lacazette have given the Gunners the lead early on in the tie. In Continental fixtures, Arsenal have lacked game management both in English premier league and in Europa. The game was heavily dominated by Arsenal with Athletico reverting to their famous defensive style of football. The Early dismissal of Sime Vrsaljko meant that the Spanish side was going to be on the receiving end of the game for long period of the game. Arsenal dominated for long period but failed to make their advantages count as they had to wait till the second interval to get on the score-sheet. 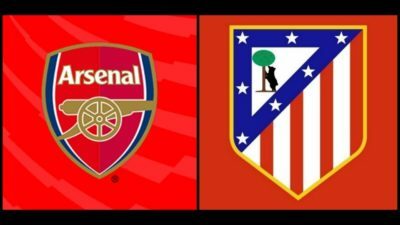 As Athletico and Arsenal prepare to do battle for the Europa league final spot, we take a closer look at the two sides. Arsene Wenger and his club have struggled this season with the London side completely relegated from a Champions top 4 side to 6th position side, the club was dumped out the F.A cup. The Carling Cup trophy loss was the height of it as the gunners were out-classed by rivals Manchester City. Arsenal despite their domestic woes, continued to soar high in Continental competition. Athletico on the other side struggled to hit top gear in the first half of the season and this lead to their demotion to the Europa league from Champions league. However their re-signed of Diego Costa brought back the fire-power they have lacked since last year. Arsene Wenger have the philosophy of playing an open and attacking football with his players given the liberty to express themselves. The fluidity of Wenger’s tiki-taka have been a chief source of the clubs woes these season as the club have been powerless in counter-attacks but the Frenchman have still deployed it in continental games were it been effective so far for the London side. Antonio Simeone plays a defensive style of football with his fast players waiting for counter-attack. Simeone have in-fact perfected the act of massive defense and attack especially when playing teams with the reputation of holding the ball. Athletico Madrid have proven to have one of the best organized back-four in the world. Finally the big question is the possible outcome of the reverse fixture at Vicente Calderon. Arsene Wenger knows that Arsenal needs to score at the Vicente to have any realistic chance of making it to the finals. The Frenchman will certainly will certainly be placing his faith on fellow Countryman Alexandre Lacazette to Fire the London club to Victory. Diego Simeone on the other hand will be backing on his side quality and experience in the competition as well as the formidable fortress of Vicente Calderon. The last time the conceded a goal there was against Girona back in January. The have only conceded 4 goals at home in the league and only twice the have conceded more than a goal at home in cup competition with Sevilla and Chelsea in mind. 90 minutes will certainly tell.